ORCA offers an excellent land-based historic environment service that will be tailored to address your project requirements. Whether you are a developer requiring archaeological involvement, devising a community project, or an organisation requiring collaborative academic research, ORCA can supply the expertise and guidance to provide solutions in the ever more complex world of historic environment management. We work with your team to assess potential impacts and project risks at an early stage. Our access to unique in-house data combined with ORCA staff experience at collating and interrogating HER data, GIS management and interpretation of aerial photographs enables us to prepare robust, focussed assessments. Liaising with landowners, the ORCA team organise walkover surveys and desk based assessments to provide an appraisal of potential archaeology present and assign archaeological significance. Our assessments often provide the baseline data for Environmental Impact Assessments. Our field work team is trained to operate safely and efficiently - all supervisors are IOSH trained and all site staff hold CSCS cards. Our capabilities in the field range from simple site surveys to large-scale complex projects which draw on our in-house geomatics, geophysics and environmental site support. 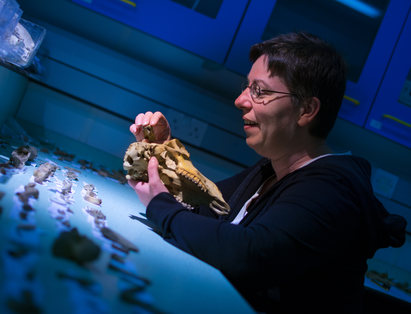 ORCA can draw on in-house specialists and the resources of the University of the Highlands and Islands Archaeology Institute, to provide in-depth analysis and interpretation of finds. Orkney College UHI, Kirkwall KW15 1LX.